Take your game to the next level with EastPoint Sports accessories! 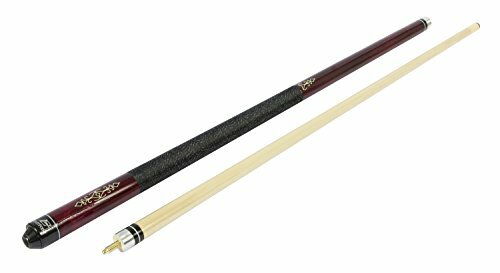 Designed for both casual and competitive players, the EastPoint Sports 2-Piece Deluxe Wood Billiards Cue is the perfect piece of equipment to add to your billiards arsenal. It makes an excellent upgrade or replacement and works well for all forms of play. The aluminum joint system ensures easy assembly, allows for better storage and transport, and offers excellent durability. The nylon grip will make every shot count with its enhanced comfort and superior control. With the sleek profile, hardwood construction, and higher performance rating of 72, you’ll play your best with the best! Upgrade your billiards cue today!